Two M/E buses are complemented by MELite blocks. With cut, mix, and wipe transitions, and keying available from four buses,*5 operators enjoy the performance of 6 M/Es in a single unit. 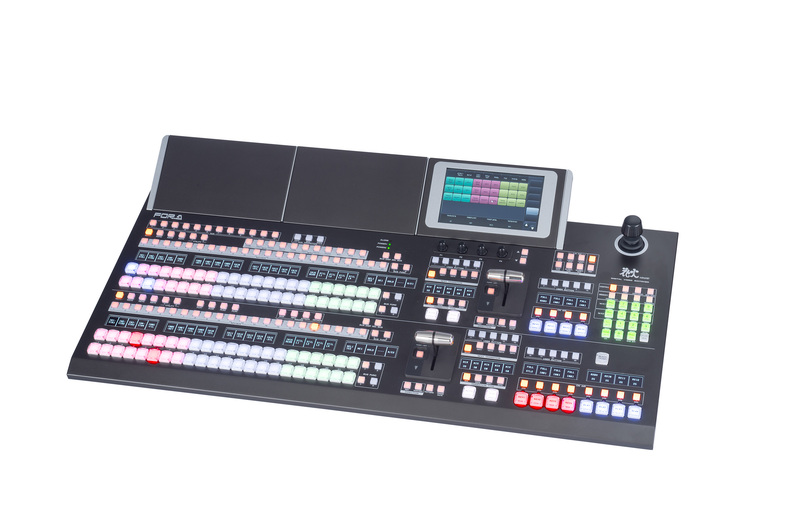 *6 MELite is ready for a broad range of scenarios, such as output different from 2 M/E, material used for M/E, or applying additional effects to M/E output. FLEXaKEY™ provides a convenient keyer that can be freely assigned to M/E 1, M/E 2, or AUX buses. Applying FLEXaKEY™ to M/E 2 puts a quad FLEXaKEY™ under your control, combining four traditional keyers. Up to eight keyers can be combined. Combine an AUX bus and MELite™ for P-in-P display or use as an upstream key. Multi-monitor, video wall environments can be implemented separately, without using an M/E bus at all, thanks to FLEXaKEY™.